The web server used by Chicagounitedfc.net is located near the city of Osaka, Japan and is run by SAKURA Internet Inc.. 34 other websites are located on this web server. Most of them are provided in the english language. 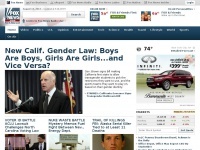 Only a few websites on this web server are x-rated. The websites of Chicagounitedfc.net are served by a Apache server. The HTML pages were created with the latest standard HTML 5. The visitor analysis software Google Analytics is used to analyze the visitors of the websites. The website does not specify details about the inclusion of its content in search engines. For this reason the content will be included by search engines. Apache.org - Wel­co­me to The Apa­che Softwa­re Foun­da­tion! Rsspect.com - RSSPECT - automa­tic and free RSS feeds for ever­yo­ne. 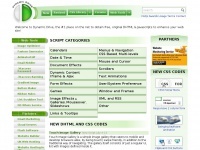 Dynamicdrive.com - Dyna­mic Dri­ve DHTML(dyna­mic html) & Ja­vaScript code ..